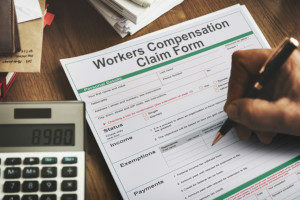 In the United States, almost all states require companies with employees who are not owners to have a workers compensation insurance plan, regardless of the size of the company. To avoid costly repercussions and to foster a safe and trusting environment for employees, it is important for a technology firm to not only have a technology insurance company provide them with standard coverage, but to choose one that provides a wide range of coverage options. Below are some common scenarios in the workplace that would require businesses to provide compensation to injured or disabled employees. 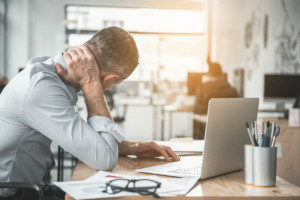 As a professional in the technology industry, you are particularly vulnerable to repetitive use injuries such as tendonitis, carpal tunnel, and muscular complications from sitting upright for extended periods of time during the day. If your office is located in an older building, you may also be at risk of exposure to asbestos which can cause lung cancer. There are also a myriad of ways that you could be injured over the course of a normal work day. Falling down the stairs, tripping over cords, and performing heavy lifting are common ways that even the most careful employees can sustain injuries while working in an IT firm. By obtaining a workers compensation policy, all these potential injuries will be covered. If your workplace has invested in a quality insurance plan from a technology insurance company, you will not need to worry about any of the expenses incurred from the medical treatment of your injuries. With a quality plan, you and your employees’ medical treatment will be covered, allowing you to resume your work and day-to-day life quickly with as little hassle and expense as possible. In the event that you need to take an extended amount of time off from work, your company’s decision to have a technology insurance company workers compensation plan will ease the financial burden. Many workers compensation policies cover replacement income should you experience severe trauma or need an extended absence to recuperate from a long-term illness. Some workers compensation plans also include provisions that will provide replacement income should a significant tragedy occur in your personal life that would require you to take time off from work. Although replacement income will only be a percentage of your typical paycheck, it is extremely valuable to have an alternate source of income to ensure that your basic needs are met during your recovery. Permanent injuries are devastating both physically and mentally, and will almost certainly prevent you from resuming work at the same competency level you possessed before you sustained your injury. Workers who are permanently injured at their job will require both physical therapy and in some cases psychological therapy to recover from their experience and adapt to their new reality. If you are permanently injured at your job, your company is legally required to take responsibility for the irreparable damage done to your quality of life and earning potential. Having a solid workers compensation plan will ensure that your company is able to provide you with the financial compensation you deserve. If you work for a smaller startup technology company, it is especially important that your employer has a workers compensation insurance package so that the expenses incurred by your injury do not significantly impact you financially or affect your company’s bottom line. Technology is a rapidly growing field and if injuries sustained in your workplace environment result in large amounts of missed work, it is easy to fall behind on current information. If this happens, your productivity can be significantly impacted and require you to seek assistance to catch up to the current standards. If your employer has purchased a plan from a technology insurance company, the costs of this additional training will be covered, and you can return to work feeling fresh and ready to perform the exceptional work you know you are capable of. It is in your best interest as an employee to make sure that your workplace has a technology insurance workers compensation plan in place. When you are in the process of searching for a job, it is incredibly important to find out if the companies you are considering have insurance that covers a broad range of potential claims resulting from workplace injuries. At MFE Insurance, we take the time to help each of our technology company clients select the best insurance plan that includes excellent workers compensation coverage. For more information, contact us to speak with one of our experienced technology insurance brokers who can provide you with all you need to know about technology insurance workers compensation and help you apply for a policy. Previous Post: « Does Insurance Cover Medical Marijuana?